As the need for beauty salons increases, their need to enhance sophistication and quality of services also increases at the same time. If you belong to the beauty business industry, you are well aware of how difficult it is to acquire small business loans for salons and spas. Banks will not want to lend to small retail businesses such as yours because of the involvement of direct cash instead of check or EFT. Beauty salons, hair salons, nail salons, spas and massage parlors have their own challenges as well as their own opportunities and given a chance in the form of good working capital and additional funding, these businesses can flourish in no time. So what will a potential business owner like you do? Try your hand at Merchant Cash Advance Loans. Shortage of funds? Not a problem with us! We understand how tricky the beauty business industry could be. There are low-profit cycles and high-profit cycles that tend to be completely unpredictable. We have been dealing with beauty salons and spas up to $250,000 and more in loans and we know where and how to make the right choice for you. If you are still in the budding stage of your business, we suggest you take a loan for 12-18 months. We have had clients with a history of bad credit but since our approval rates are very high, we had no trouble given the salon approved in 10 working days. Unlike banks that only lend money to business owners that have a shining track record or bills and previous loans, we have lenient credit score requirements and do not even ask for your history before finalizing the loan. If your NSFs i.e. non-sufficiency of funds is high, you can easily apply for a loan with us and we will be more than happy to help. Why will you require this Merchant Cash Advance loan? The beauty business industry has a number of requirements that a merchant cash advance loan can take care of. When you have your own nail business, you will need things like manicure stations, UV drying lights, pedicure chairs, nail polishes and acrylic nail kits. A prime location to host your business is also one of the major requirements. To add these new products or services and to finance the purchase of these equipment, you require business cash advance and alternative business funding solutions. These are the areas that we specialize in. 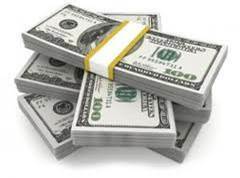 We will offer you business funding with little or no collateral and simple paperwork. We have a simple application process and you will receive the funds in your account within 48 hours. For an all-in-one beauty salon, your requirements can include massage tables, spa chairs, showers, tanning booths and hot tubs. There are other costs like skin care lotions and creams, towels and laundry, maintenance of equipment and the cost of keeping the salon appealing and inviting. You should always be aware that the first year is the toughest in this industry. Unsecured business loans are what you should aim for and even if you have bad credit history, we are ready to lend. While you may pay higher interest rates, it will prove to be worth the investment made. There are lenders out there willing to offer 2nd, 3rd, 4th as well as 5th funding positions but opting for the 1st or the 2nd position helps you stay safe and secure. The rest of the positions will require higher interest rates and the loan terms are also shorter than the first position. When you approach a company for a merchant cash advance loan, you calculate its true cost by its APR. Merchant cash advances are only worth their price if you are confident about the repayments without harming your cash flow. Always convert Factor rate into APR before considering taking on a merchant cash advance loan. Whether you have bad credit history or a low credit score, we will easily accommodate your need for a business loan. Unlike banks, we do not have stringent credit policies. We do not require you to put up collateral to receive financing for your business. We analyze your weak and strong months of business and that is how we gauge the potential. We suggest you let us assist you on your journey of growth and new findings in the beauty industry. Do not quit on small business financing simply because you have had trouble in the past and have been denied help. We have a team of advisors who will help you realize your dream of making your beauty salon the most inviting and the most profitable of all that you have ever witnessed.